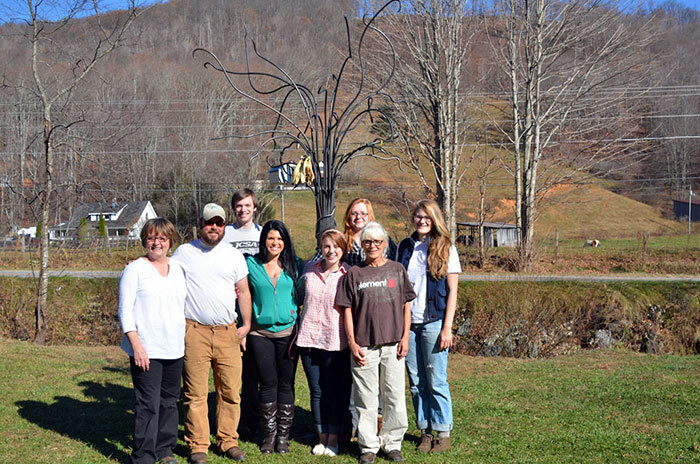 Appalachian students meet with Elk Knob Community member Pat Kohles, far left. 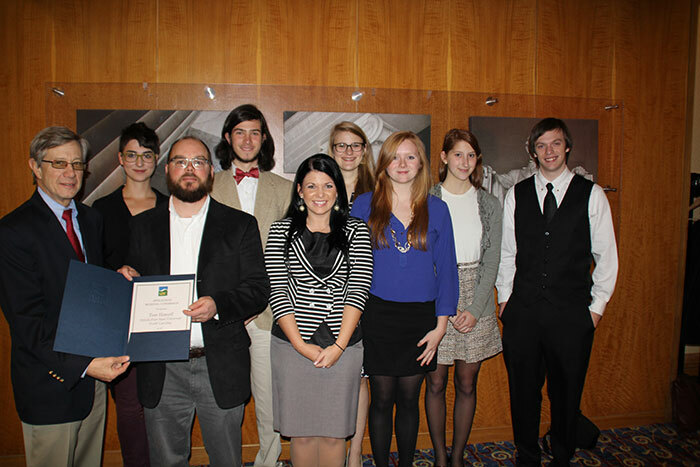 With her are, from left, Professor Tom Hansell and students Brandon Norris, Ashley Thacker, Genny Parshley, Alix Brewer, Karen Russo and Shady Kimzey. Photo courtesy of Tom Hansell. 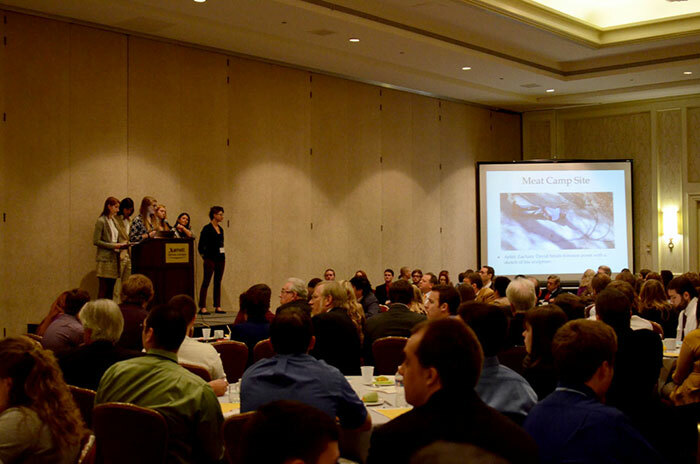 Appalachian students present their work at Appalachian Regional Commission conference in Washington, D.C., November 2012. Photo courtesy of Tom Hansell. 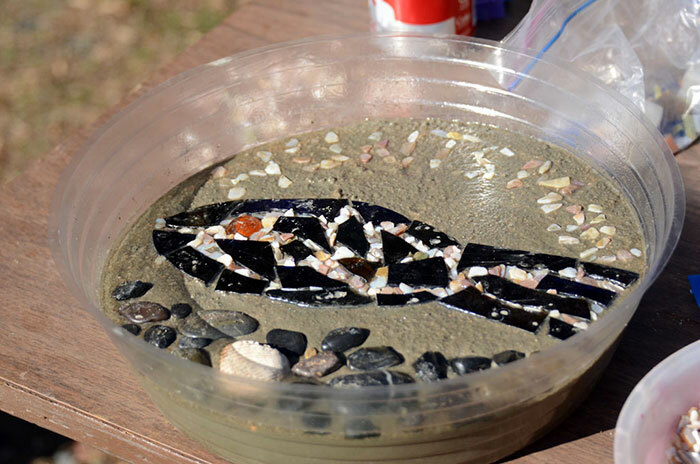 One of several stepping stones made of local materials by community members that surround the iron tree installed by students in Meat Camp. Photo courtesy of Tom Hansell. Earl Gohl, federal co-chair of the Appalachian Regional Commission, presents Appalachian professor Tom Hansell with a 2012-13 Appalachian Teaching Fellows award. Standing with Hansell are, from left, students Joni Ray, Nick Smith, Ashley Thacker, Shady Kimzey, Alix Brewer, Rebecca Lamaire and Brandon Norris. Photo courtesy of Tom Hansell. 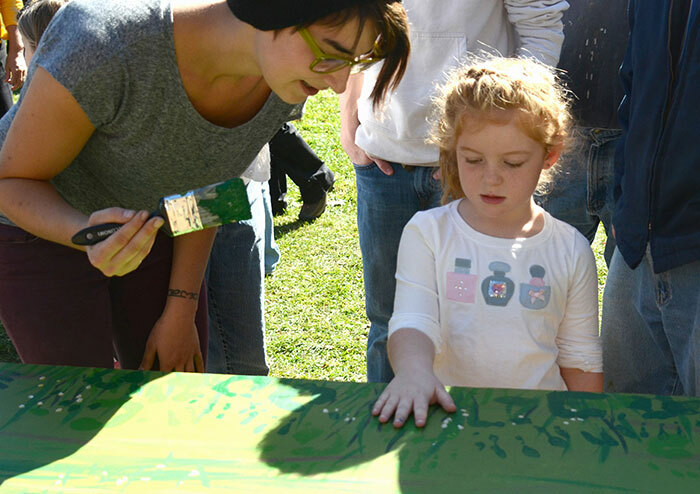 Local community members create a border of hand prints on a mural, which was later installed on the Old Eller Store on South Road. Photo courtesy of Tom Hansell. 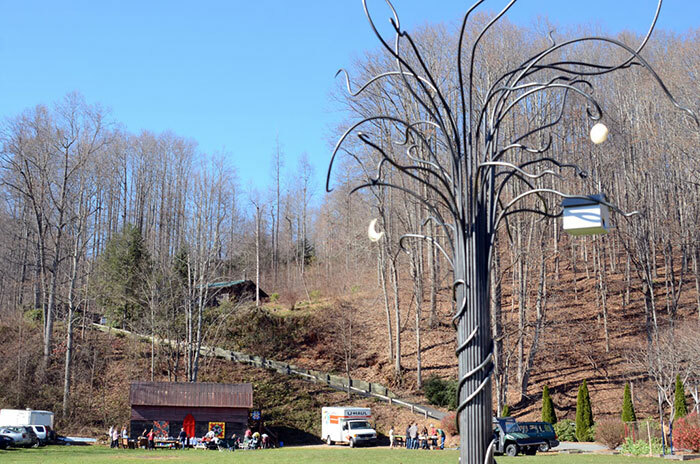 Students Nick Smith and Alix Brewer worked with local metal artist Zachary David Smith-Johnson to design and construct this iron tree that has been installed at 1401 Meat Camp Road after a November “art raising” event. Photo courtesy of Tom Hansell. 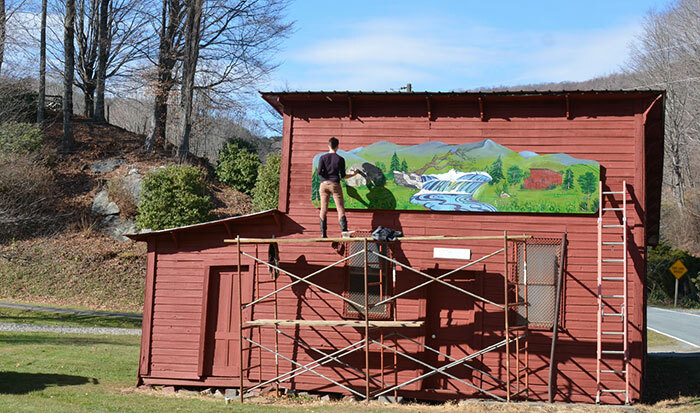 Student Joni Ray works on the community mural installed at Old Eller Store in Pottertown. Photo courtesy of Tom Hansell. 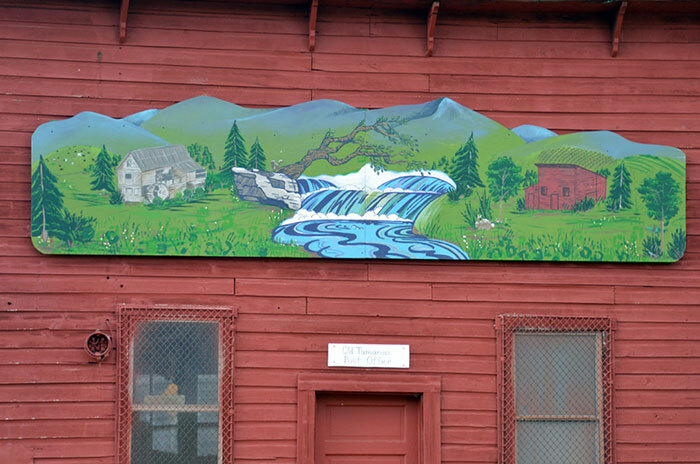 A close up of the student and community designed mural located at Old Eller Store on the Pottertown side of Elk Knob. Photo courtesy of Tom Hansell.